It’s been a slow week on the blogging front (busy on other fronts though), so the best I can do to fill the gap is to come up with another book recommendation. If you have any book recommendations you’d like to share, please do so in the comments section. Gerald Gaus is one of my favourite political philosophers. His work on the theory of justificatory liberalism, in his 1996 book Justificatory Liberalism and his more recent magnum opus The Order of Public Reason, is provocative, original and rigorous. Admittedly, one of my chief reasons for liking his work is that his opinions seem to chime well with my own, so I’m definitely biased here. But I can only speak from the perspective of my web of beliefs and from that perspective his characterisation of the structural problems of liberal democracy, and his attempted resolution of same seems about right to me. There are three main virtues to Gaus’s writing. 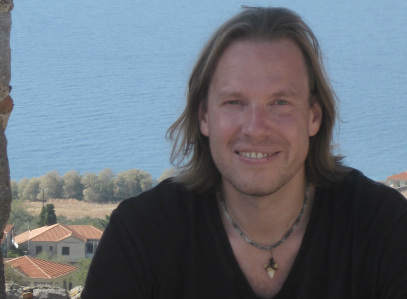 First, he has a gift for conceptual clarification, rendering the often heated and fuzzy terminology of political theorists more perspicuous and stable. Second, he has gift for explanation, helping the reader to understand difficult and often diverse ideas and concepts in depth, not just in abstract. And third, he is rigorous and formal when evaluating the arguments of others and when developing his own. All three virtues are on display in his book Contemporary Theories of Liberalism, which is today's book recommendation. 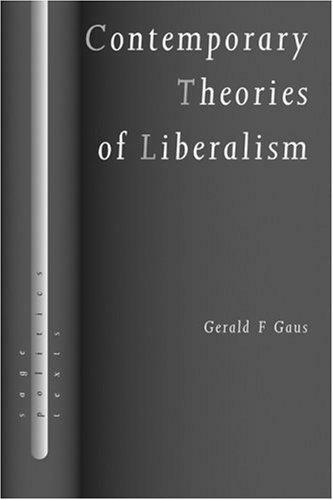 It provides an excellent introduction to and survey of what Gaus calls “post-Enlightenment” theories of liberalism. This a term that deserves some unpacking. All liberal theories are, to some extent, premised on the idea that government should respect human freedom and enhance human welfare (whatever these things might be). In his opening chapter, Gaus divides such theories into two camps: the Enlightenment theories and the post-Enlightenment theories. In the first camp, there are those theories that believe the use of reason will allow us to achieve a convergence in moral and political views. Thus, all rational adults will agree upon the preferred shape and form of political organisation and the preferred content of public policy. In the second camp, there are those theories that believe human reason is unlikely to lead to a convergence in moral and political views, and that the job of political theorists is to work around these differences. 1. Berlin’s Pluralism: This is the view that values are plural, intransitive, and incommensurate. As a result, it is impossible to identify preferred forms of existence or government. 2. Hobbesian Modus Vivendi: This is the view (associated with the work of John Gray but with its origins in Hobbes) that politics is simply a matter of discovering a working compromise (modus vivendi) between the radically divergent worldviews of rational individuals. 3. Collective Reasoning Theories: This is a family of views that propose there is a distinct form of reasoning (“collective” as opposed to “private/individual”) for dealing with social coordination problems such as those inherent in the post-Enlightenment view. 4. Deliberative Democracy Theories: This is the view that the essence of a liberal democratic society is that it provides a set of processes and mechanisms for public deliberation. This view is most closely associated with the work of Jurgen Habermas. 5. Judgment Aggregation Theories: This is a family of views proposing that one way in which to solve the problem of plural values is through aggregating divergent individual votes and using the results of the aggregation as the basis for public policy. This, of course, is the essence of democracy, but it turns out there are a number of complications associated with the method of judgment aggregation. 6. Rawlsian Liberalism: This is the view that, contrary to the radical pluralists, there is a shared liberal conception of justice, which can be arrived at from different starting points. This gives rise to a unique view of the nature and purpose of public reason. 7. 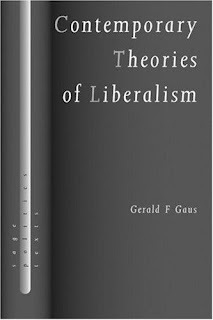 Justificatory Liberalism: This is Gaus’s own view. It maintains that the proper function of a liberal government is to justify its coercive policies to morally equal persons. It also proposes how this might be done. While discussion of each of these theories is excellent, two sections of the book stood out in particular for me. The first was the careful attempt to define and tease out the implications of value pluralism in Chapter 2, and the second was the overview of judgment aggregation theories in Chapter 6. I’ve used both in some of my own writing and in my classes. Overall, I highly recommend this book. It’s short, but not superficial; fair, but not dispassionate; and rigorous, but not dull. It would serve well as a textbook for a course in contemporary political theory and as general reading for anyone interested in the area. It allows you to see that there is some pretty interesting, and highly sophisticated work being done in political philosophy these days, work that should not be ignored. I'm sold on giving this a shot. Think I'll do a book recommendation series as well. Nice idea. Thanks for the suggestion. While I do recommend this book as an introduction, I think The Order of Public Reason is a more interesting piece of work and might be more to your tastes (although it's definitely not introductory, Gaus does explain most of the concepts and ideas he uses to make his argument). Depends what you're looking for of course. If it's just an intro to contemporary political theory, this is definitely the place to start.